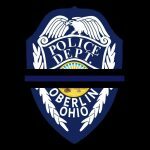 The Oberlin Police Department has seventeen full-time sworn officers, two part-time sworn officers and fourteen civilian employees. The Department additionally has an Auxiliary Police unit and a Police Explorer post. Specialized units include investigations, juvenile (school resource), crime prevention, honor guard, drug enforcement, K-9 unit and bicycle patrol. For a small agency, the Oberlin Police Department has excellent technical equipment, vehicles, facilities, and training opportunities.